Limited jurisdiction courts are justice and municipal (or city) courts. These courts have jurisdiction over a limited variety of cases. They are nonrecord courts, meaning that permanent records of court proceedings are not required. However, some courts do make a record of proceedings. The state appellate courts have jurisdiction to review trials and decisions appealed to them. Most appeals come from the superior court, except for death penalty appeals and some cases involving elected officials and disputes between counties, which go directly to the Supreme Court. If you or a friend or loved one are arrested they will be arraigned to appear before either a city/municipal court, a Justice court or a superior court. Most cities or towns have a municipal court, also known as a city court or magistrate court. Municipal courts have criminal jurisdiction over misdemeanor crimes and petty offenses committed in their city or town. They share jurisdiction with justice courts over violations of state law committed within their city or town limits. Municipal court judges (magistrates) hear misdemeanor criminal traffic cases such as driving under the influence of alcohol, hit-and-run and reckless driving where no serious injuries occur. They hear civil traffic cases, violations of city ordinances and codes, and issue orders of protection and injunctions prohibiting harassment. They can also issue search warrants. They DO NOT hear civil lawsuits between citizens. Each county has justice courts that are presided over by a justice of the peace, who is elected for a four year term. These include civil lawsuits where the amount in dispute is $10,000 or less, landlord and tenant controversies, small claims cases and the full range of civil and criminal traffic offenses, including DUIs. Justices of the peace also resolve other types of misdemeanor allegations (e.g. shoplifting, writing bad checks, violating restraining orders) and, like other trial judges, also handle requests for orders of protection and injunctions against harassment. The number of justice courts in a county depends on its population. For example, there are 25 justice courts in Maricopa County. Criminal Jurisdiction – Some justices of the peace conduct preliminary hearings on felonies. All justice courts hear every type of crime that is a misdemeanor under state law, including; Assault and Battery, DUI (Including Extreme DUI), Bad Checks, Violations of Orders of Protection or Injunctions Against Harassment & Underage Drinking. The superior court is the state’s general jurisdiction court. It is a single entity with locations in each county. Each county has at least one superior court judge. In counties with more than one superior court judge, the judges operate in numbered divisions. In Arizona the superior court has jurisdiction over all cases and proceedings in which exclusive jurisdiction is not vested by law in any of the lower courts. All criminal cases amounting to a felony, and misdemeanor cases not otherwise provided for by law are the responsibility of the superior court system. 11325 West Civic Center Dr.
We are here for you. When you need help, We'll be there! Don't leave your friend or loved one behind bars. Call Alliance Bail Bonds now. 1013 South Stapley Drive., Mesa, Arizona 85204. 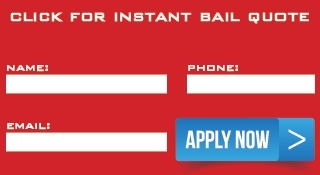 If you have Bail Bond questions call our free help line. We accept many forms of payment, Credit Cards, Money orders and even Paypal. We can finance your bond in the most cost effective way possible.